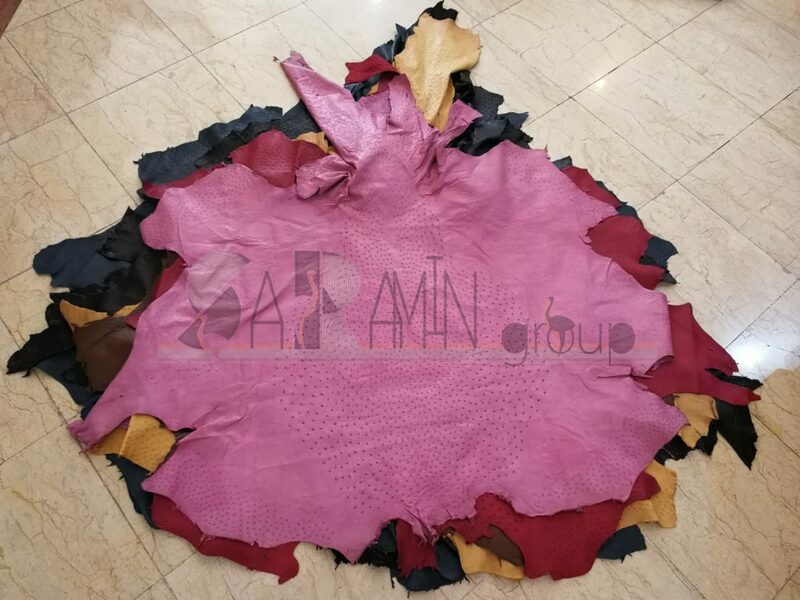 SaRamin-co provides Ostrich crust , Ostrich leather (finished leather) and ostrich leg (with and without nail) with competitive price. 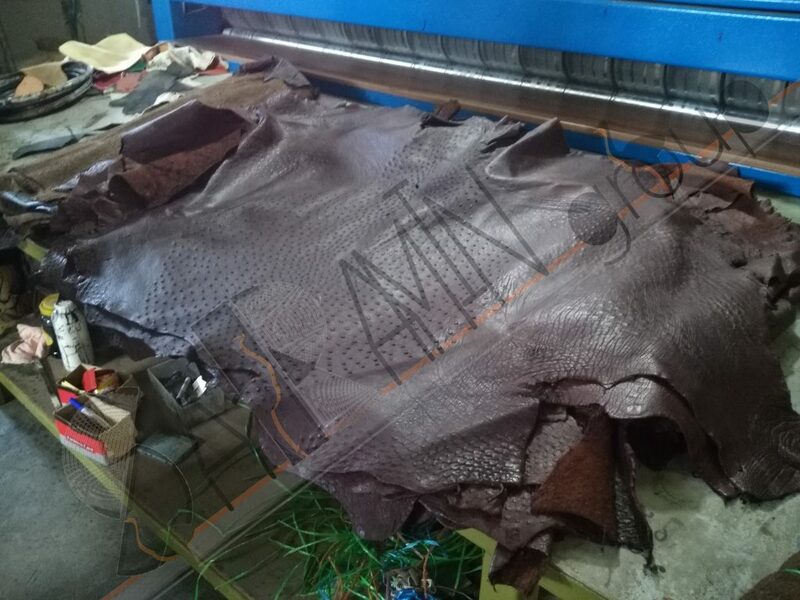 in order to make high-end leather goods. 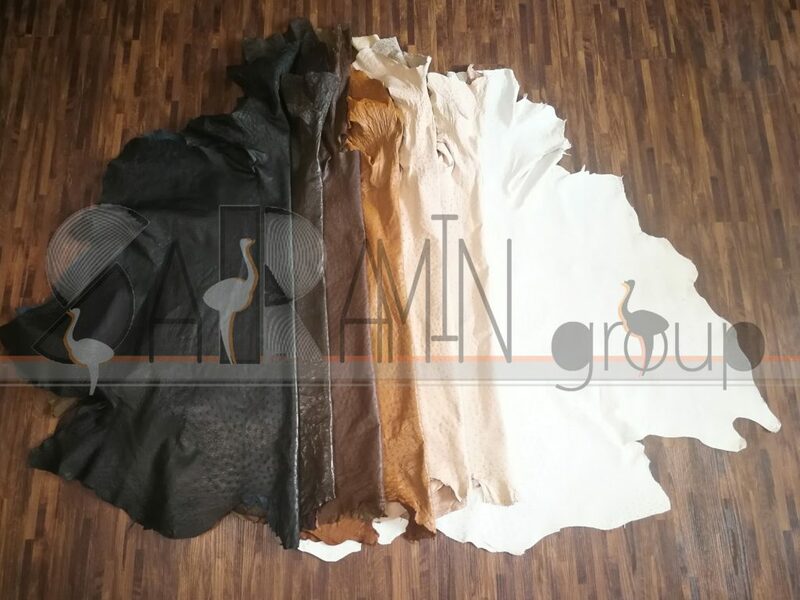 ostrich leathers are divided into four qualitative grades. 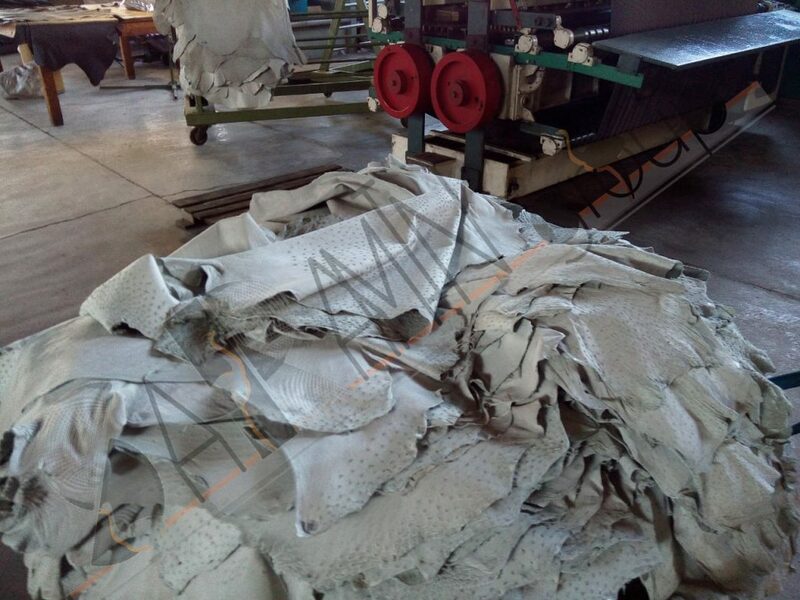 The company can provides them according to the following table. 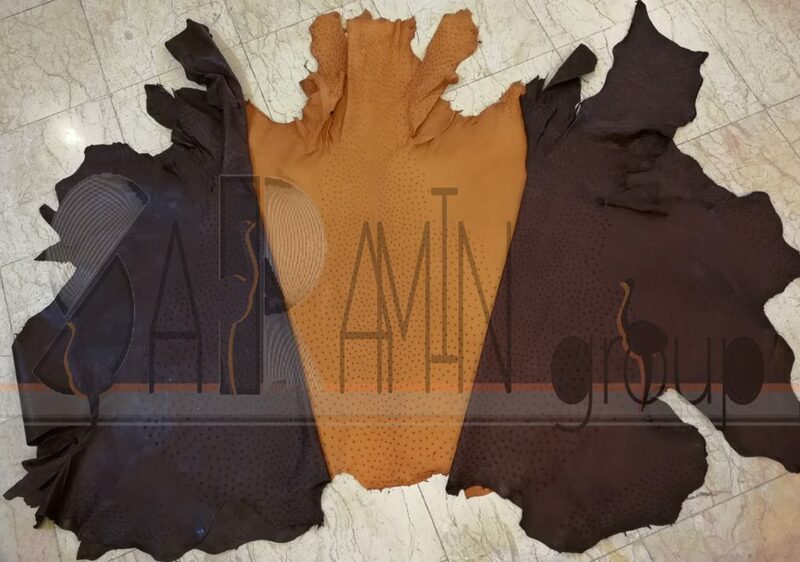 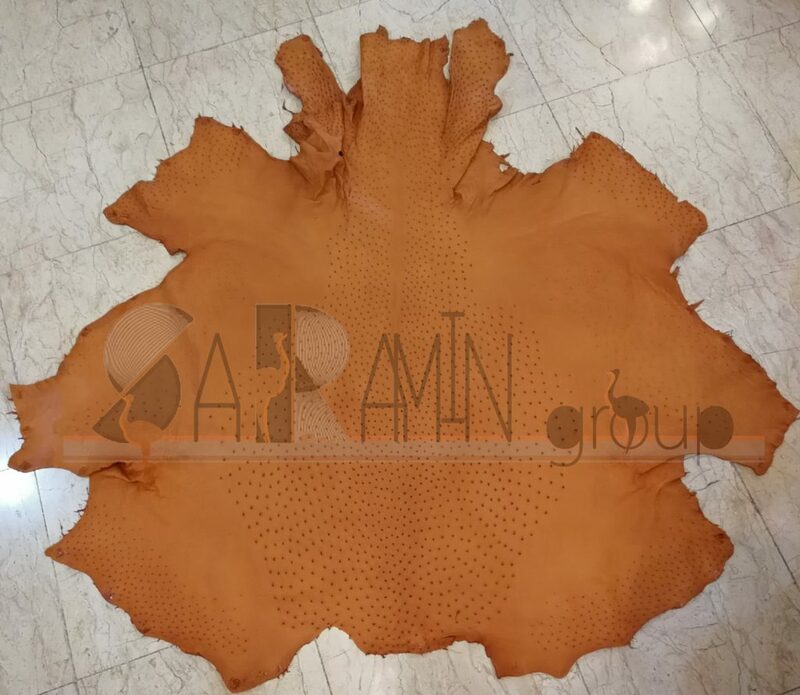 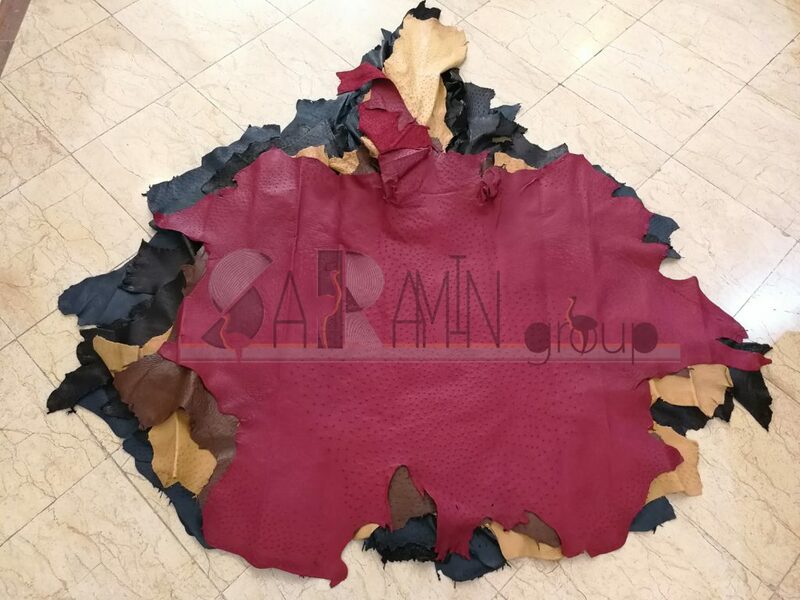 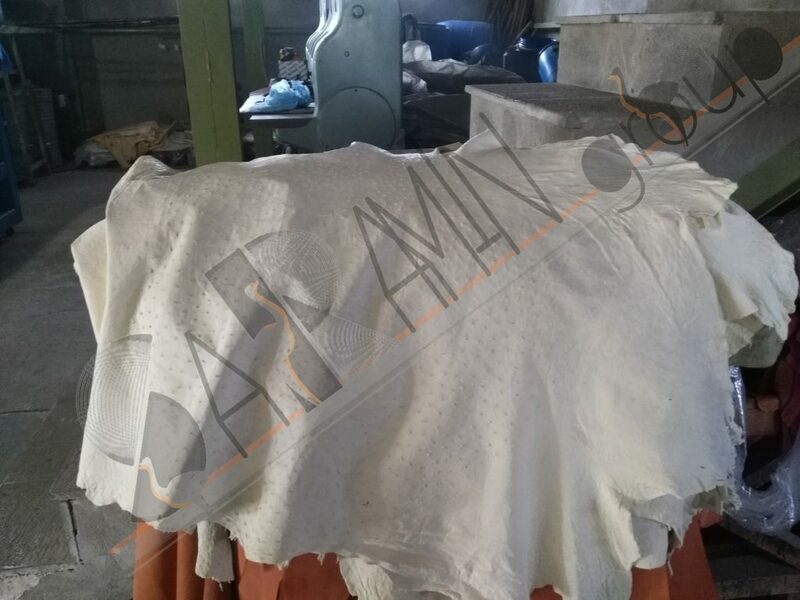 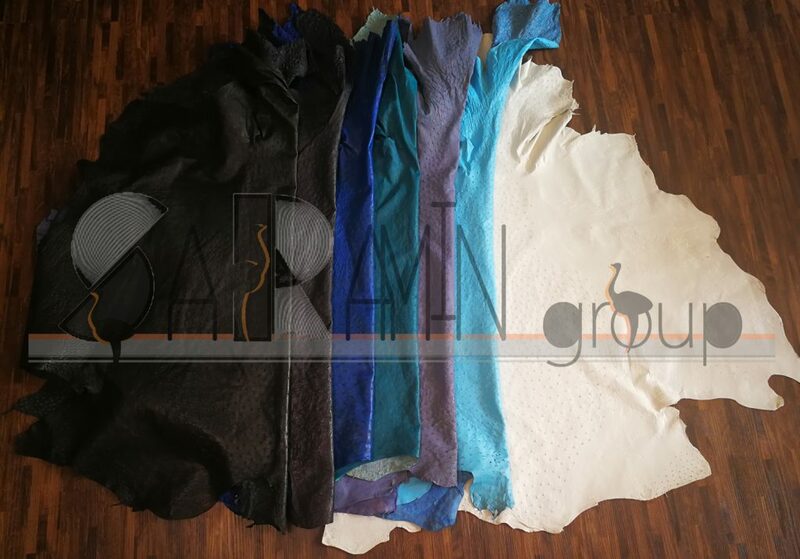 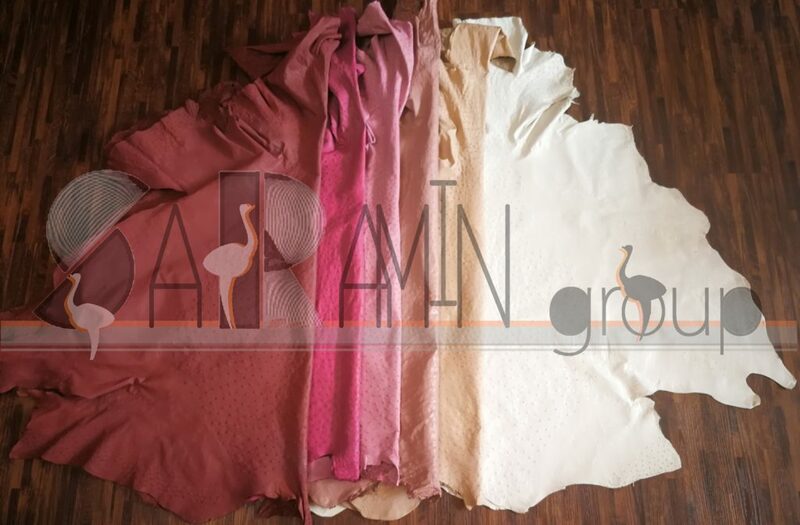 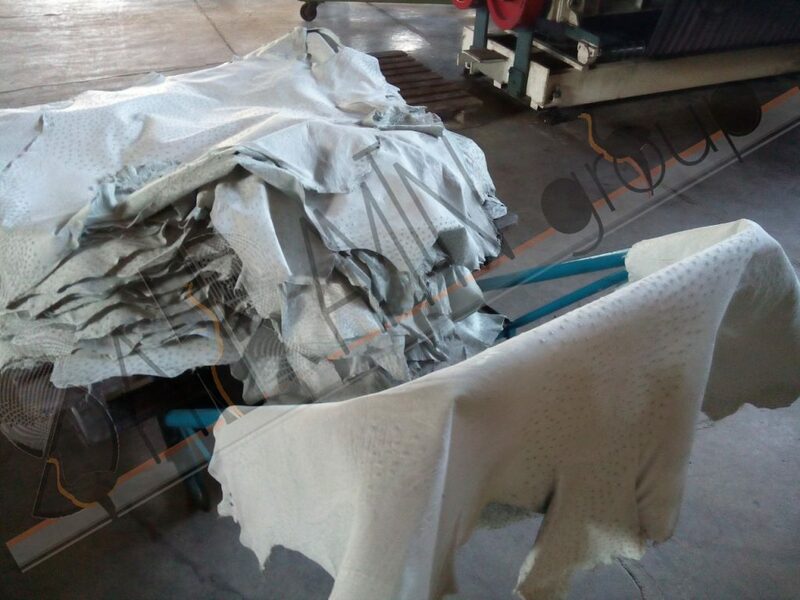 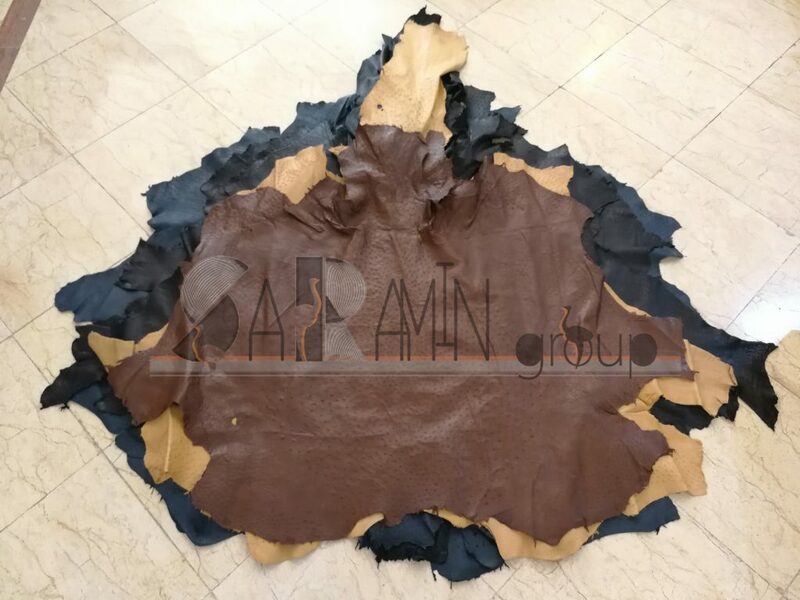 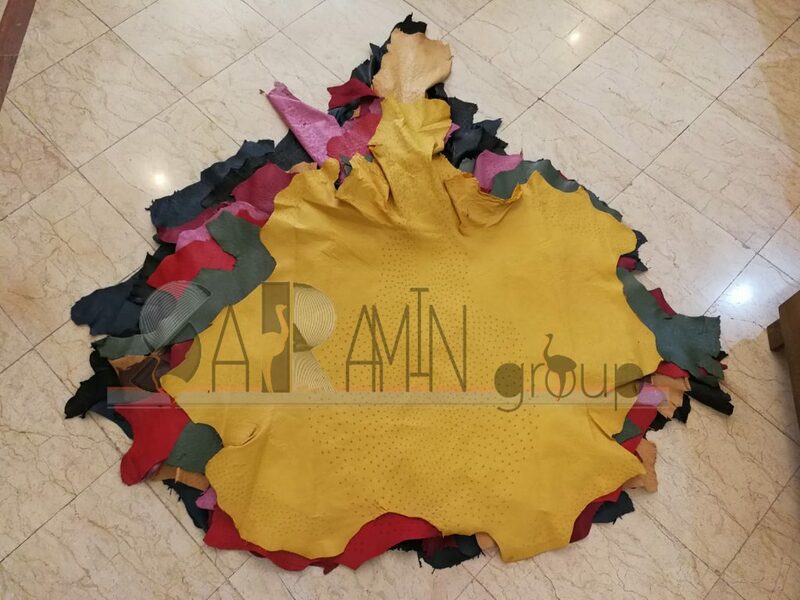 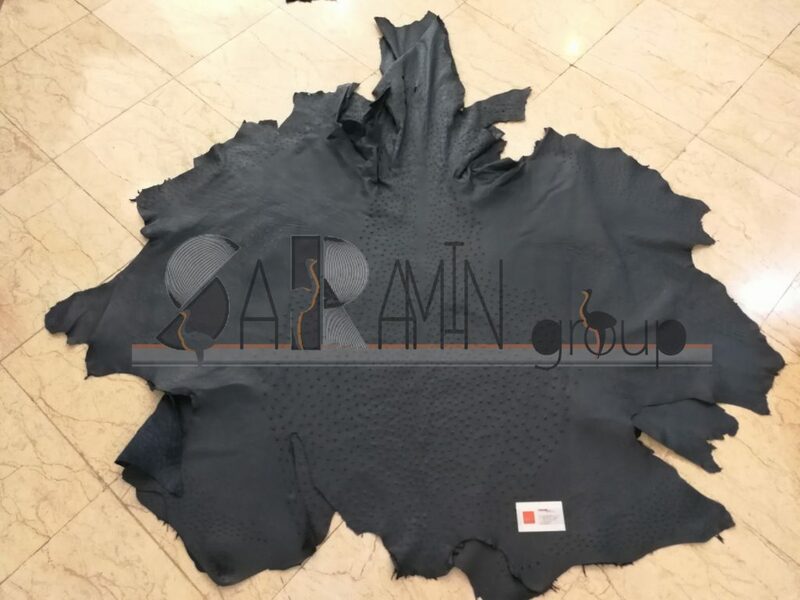 Saramin-co manufacture soft and white ostrich crust leather at the end of the process of tanning also ostrich crust s are clear to dye in light color like white. The size of ostrich crust is between 13-21 square feet and the average size of leather sheet is 16 square feet.the thickness of crust and finished leather is between 0.8-1.3 millimeter. 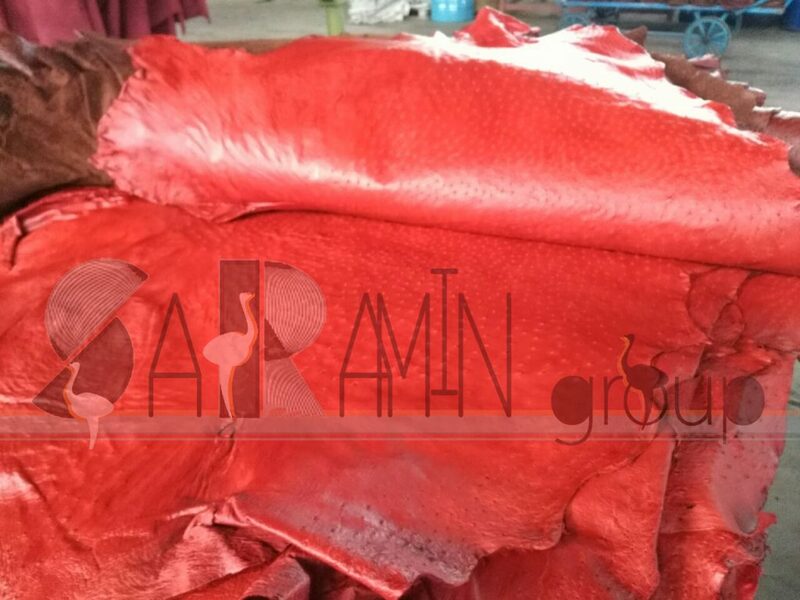 we can supply 1000 pieces of hides per month to export. 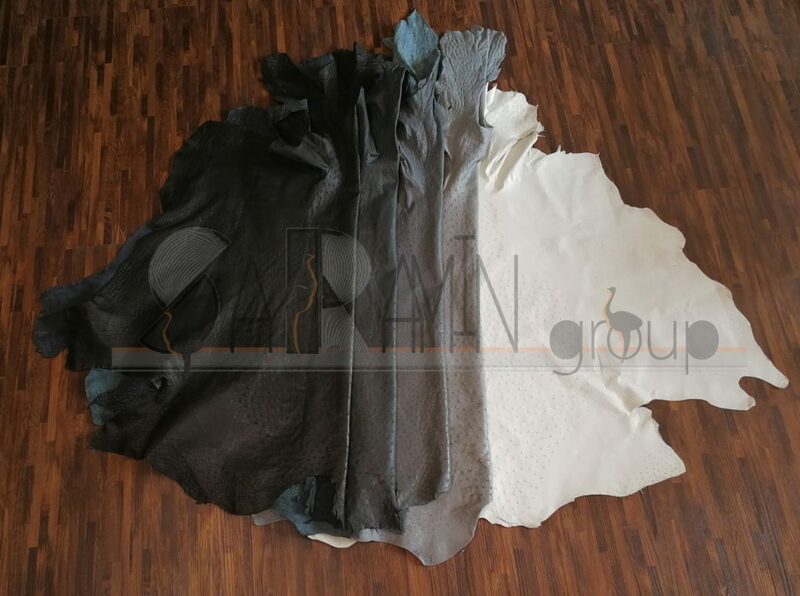 we manufacture both chrome-tanned and free chrome leather . 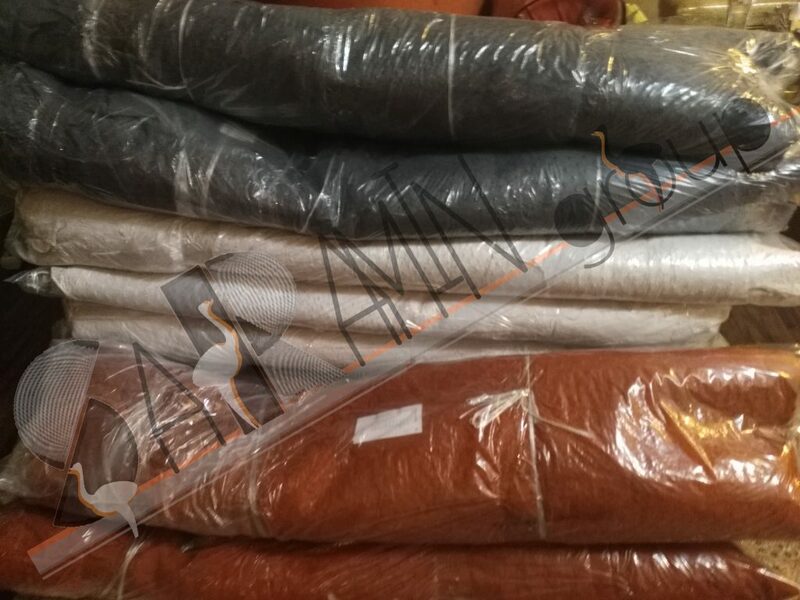 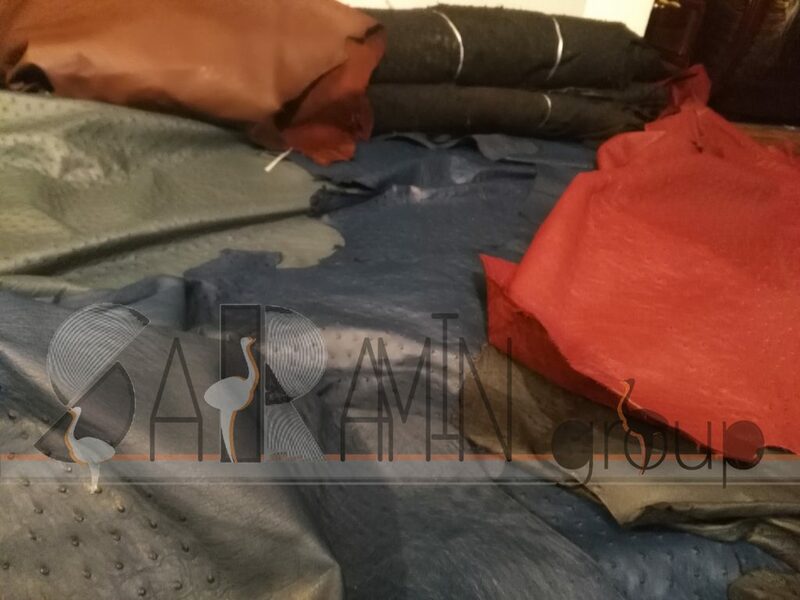 Physical properties which make our ostrich leather unique and valuable are high tensile strength , resistant to tear and high resistant to flexing , high quality of color and dying . 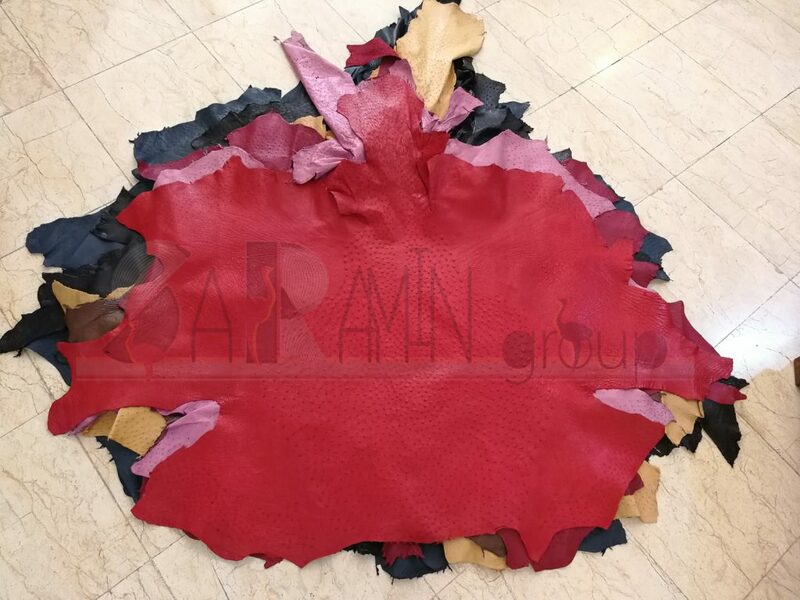 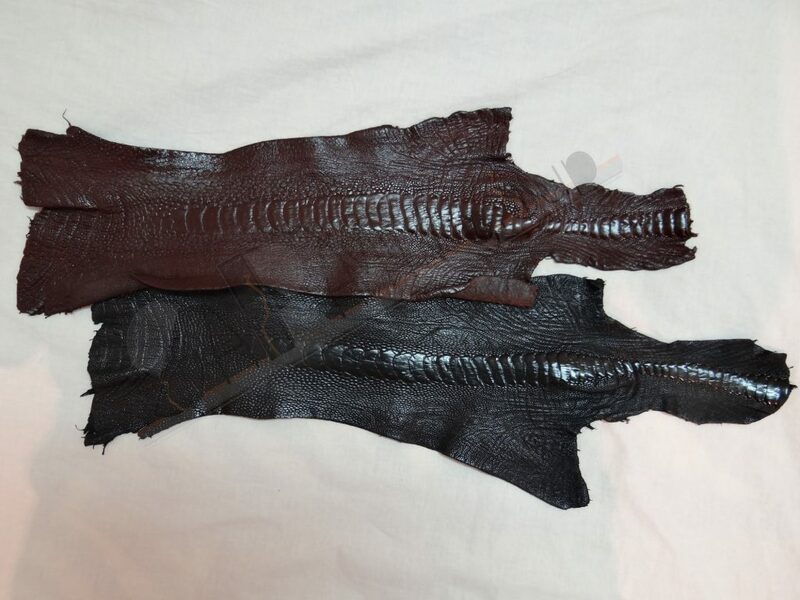 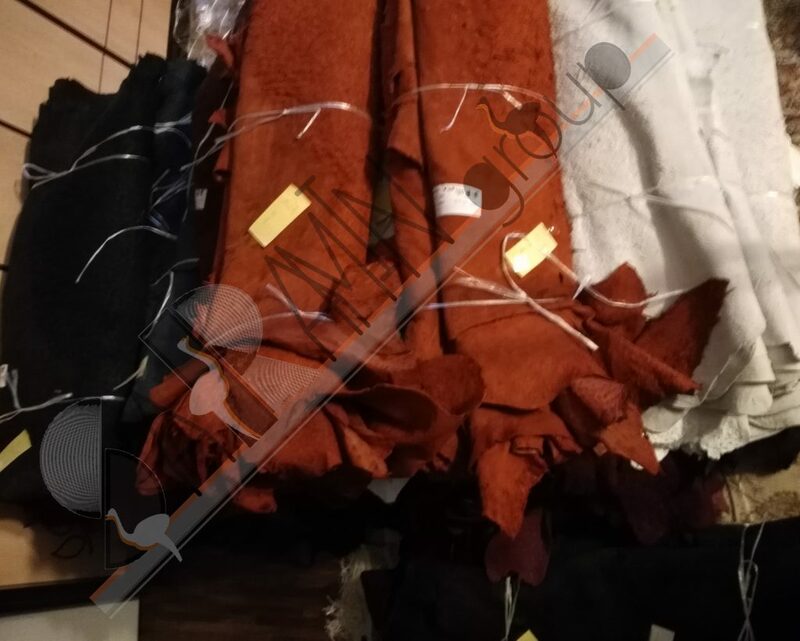 both sides of finished leather are colored .in addition to common coloring, we have another special and artistic coloring style that is proper to use finished leather for handicraft goods. 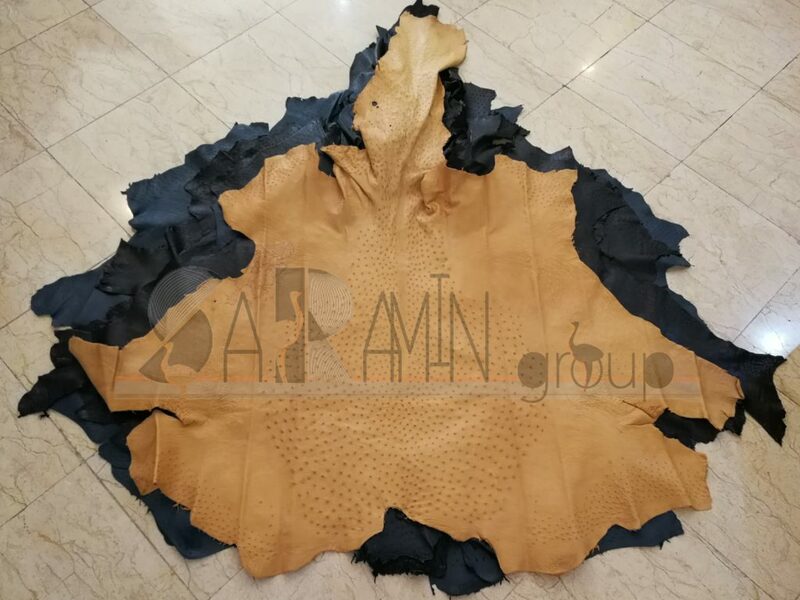 The size of prepared hides is between 13-21 square feet and the average size of ostrich leather sheet is 16 square feet.the thickness of crust and finished leather is between 0.8-1.3 millimeter. 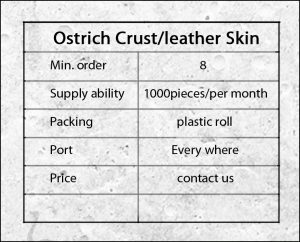 for the best choosing of thickness, please read the passage “using of ostrich leather”in this page. 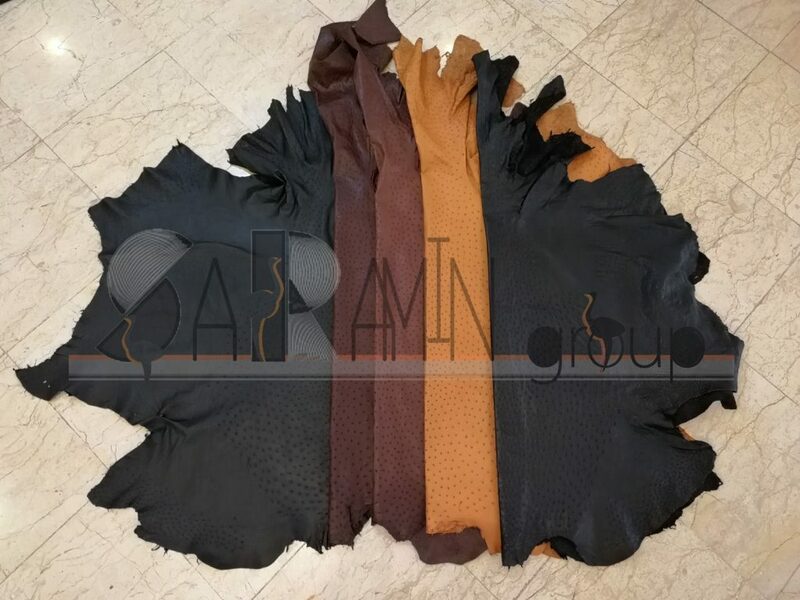 Saramin-co manufacture ostrich leg crust and finished with diverse colors. 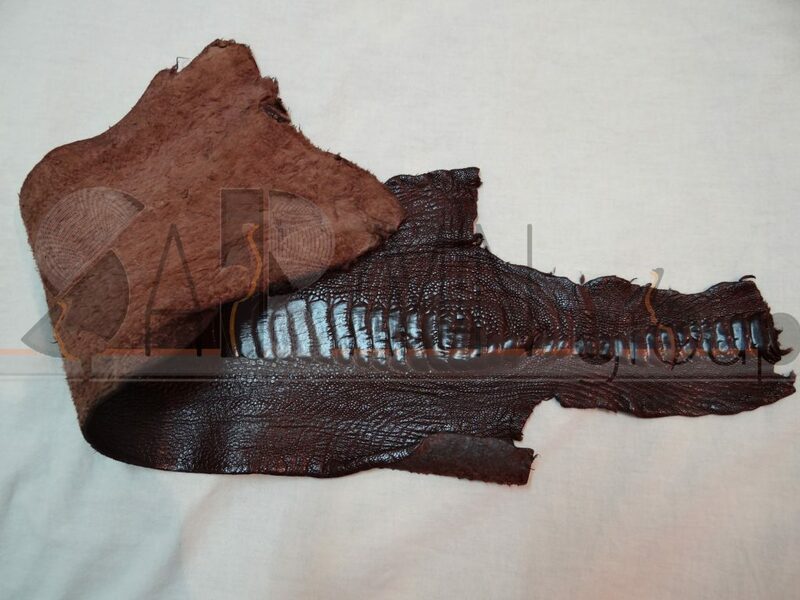 all of the ostrich leg s have no defect or hole on them. 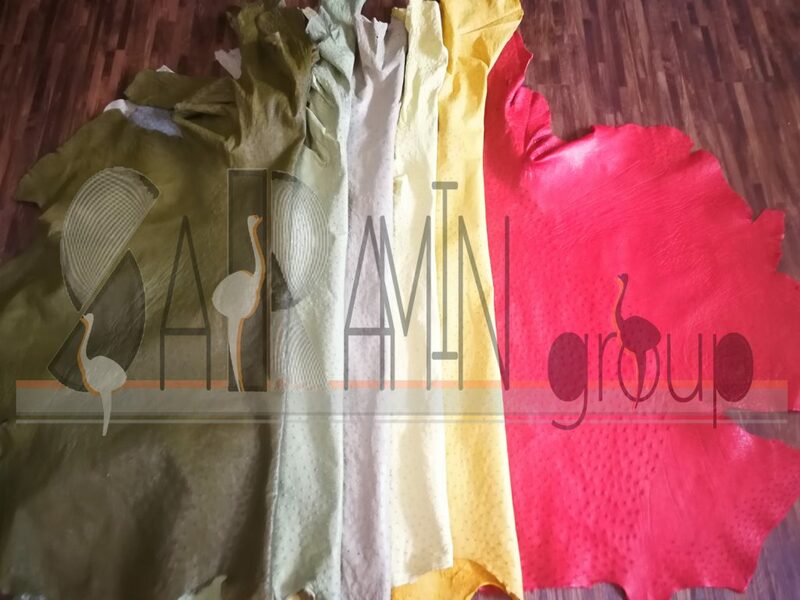 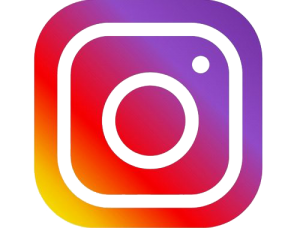 There are 3 grades according to following description. 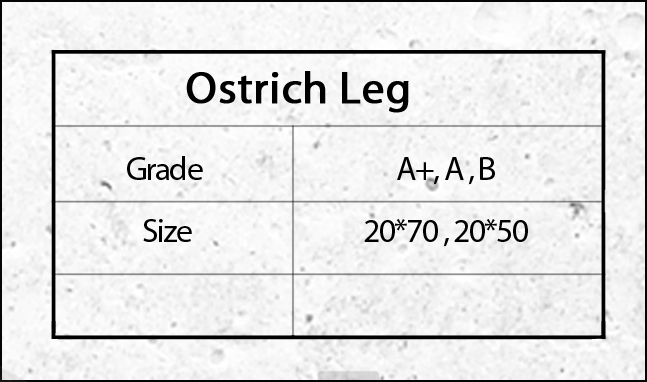 A+: size of ostrich leg is 20*70 centimeter. 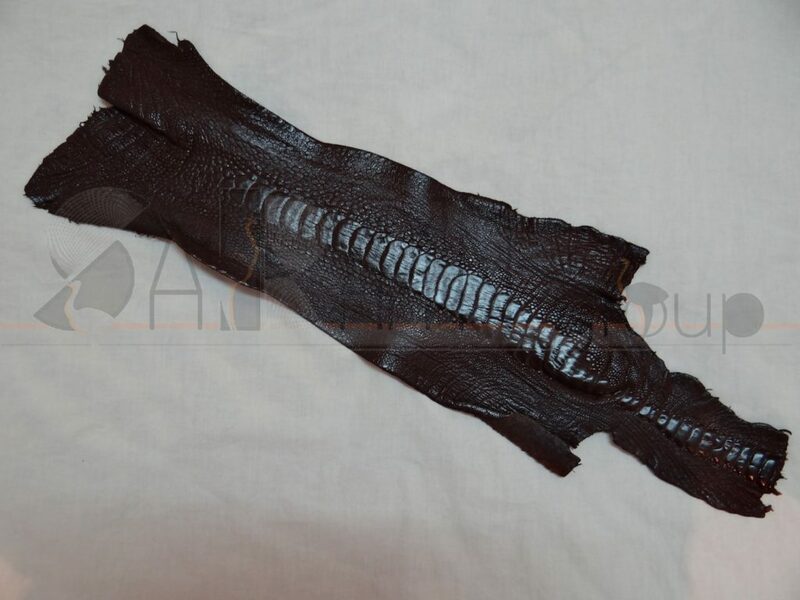 leg is with nail and has no defect or hole on it. 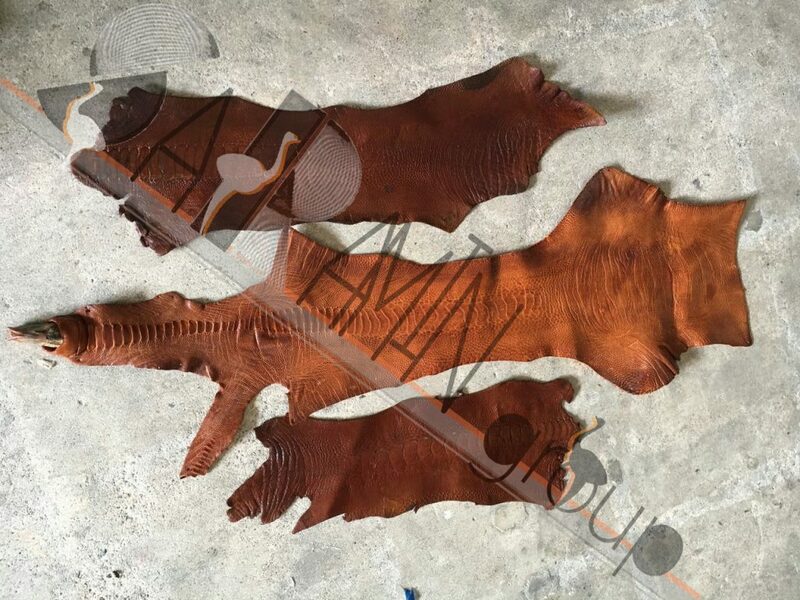 A : size of ostrich leg is 20*70 centimeter. 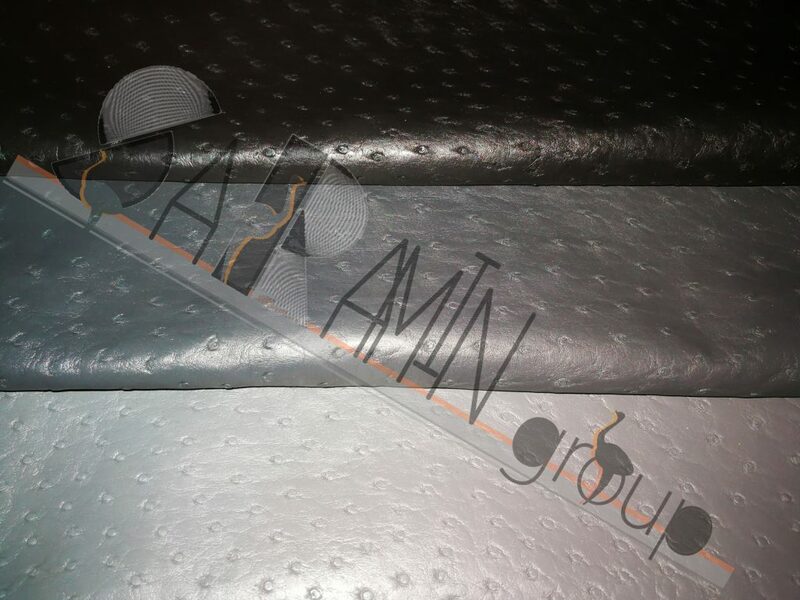 leg is without nail and has no defect or hole on it. 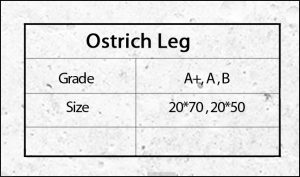 B : size of ostrich leg is 20*50 centimeter. 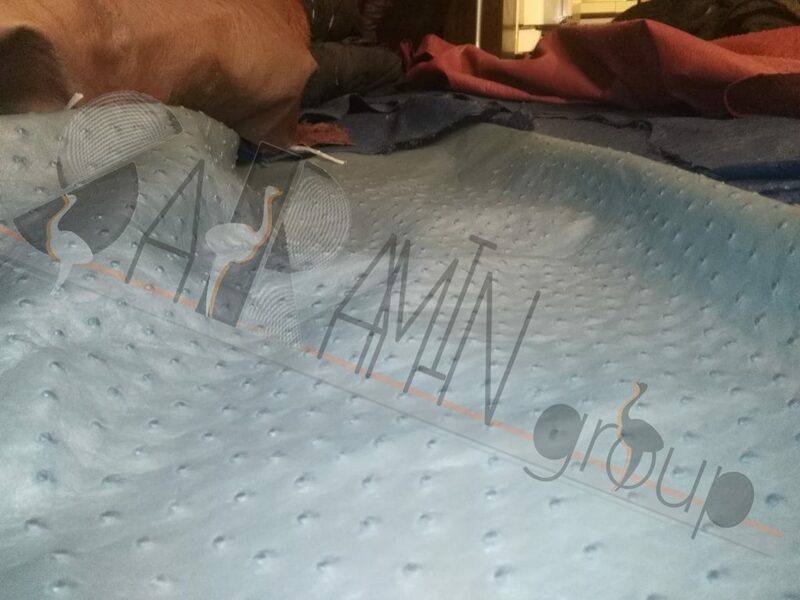 leg has no defect or hole on it. 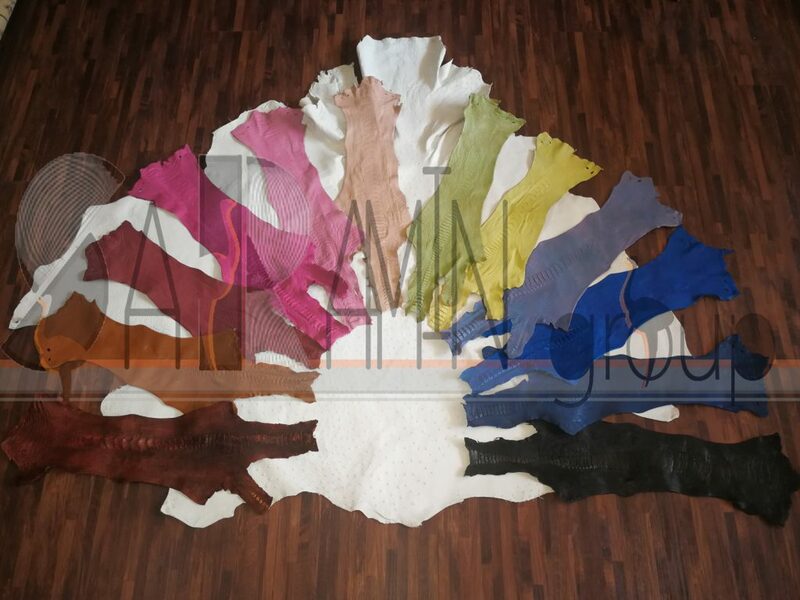 You can order according to the color catalog or any customization color. 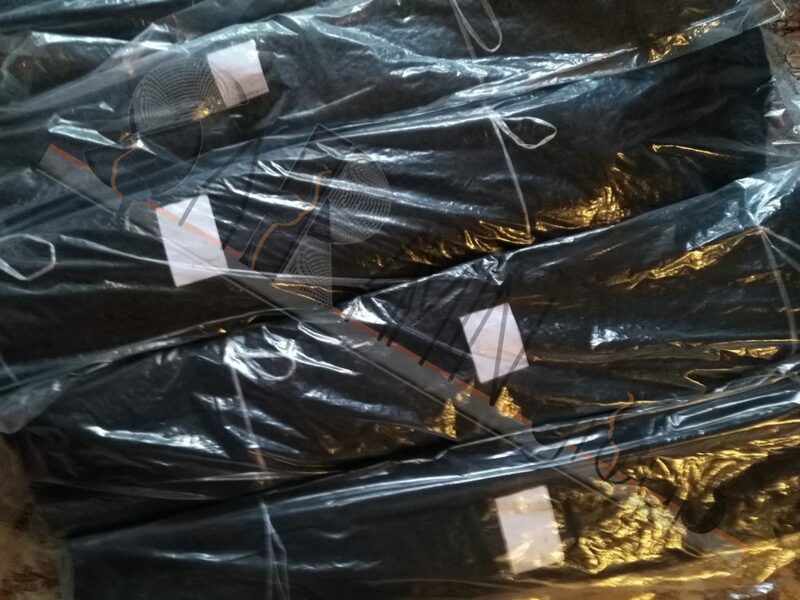 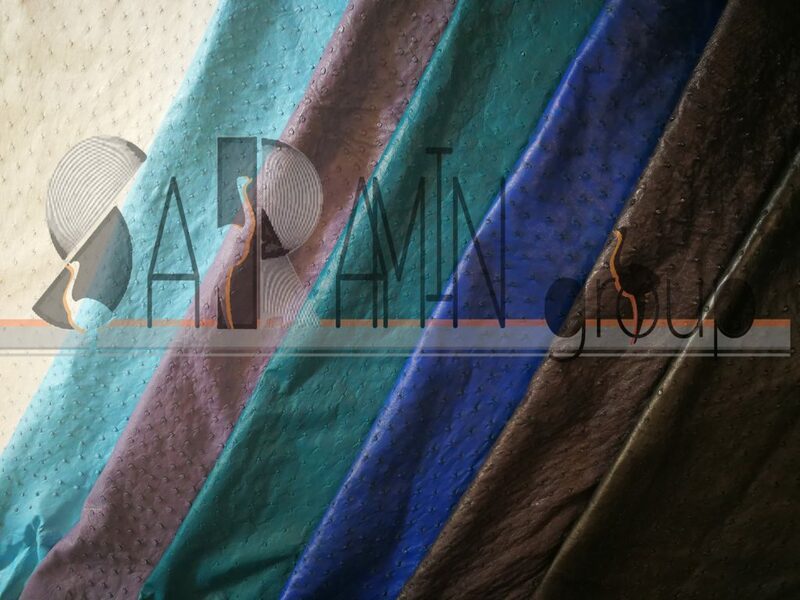 the minimum order quantity of each color is 1 piece. 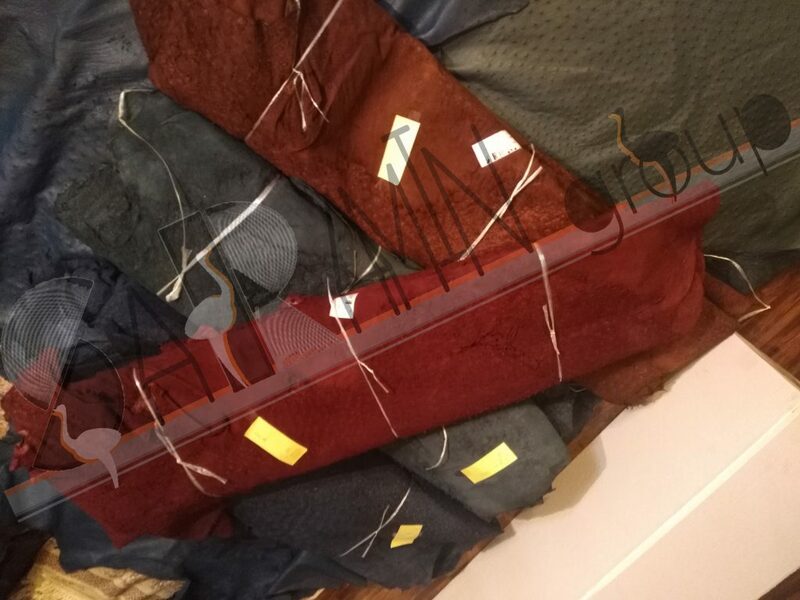 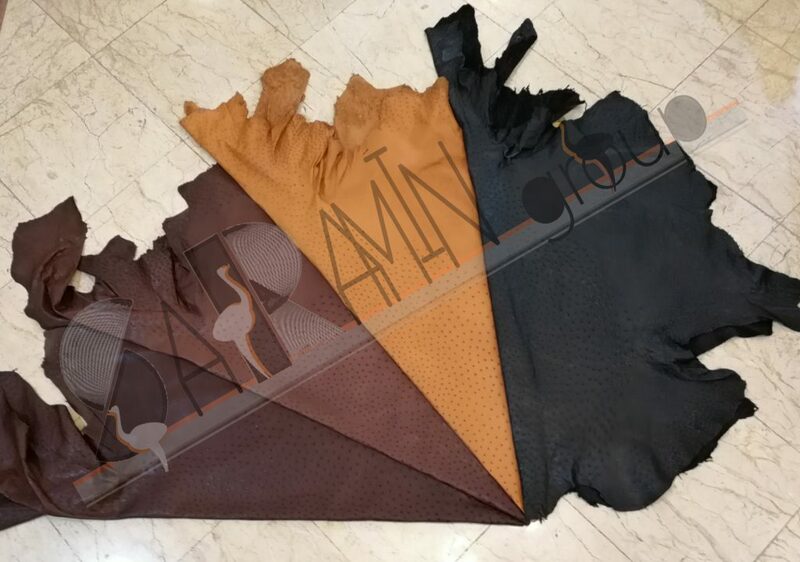 For large amount order and wholesale ostrich leather we use Cargo System and for small amount of order-under 20 pieces-postal services. 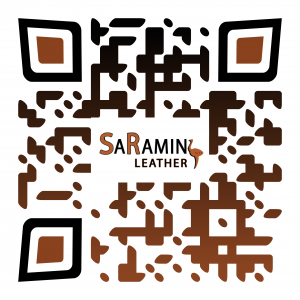 We can send order to any place in the World. 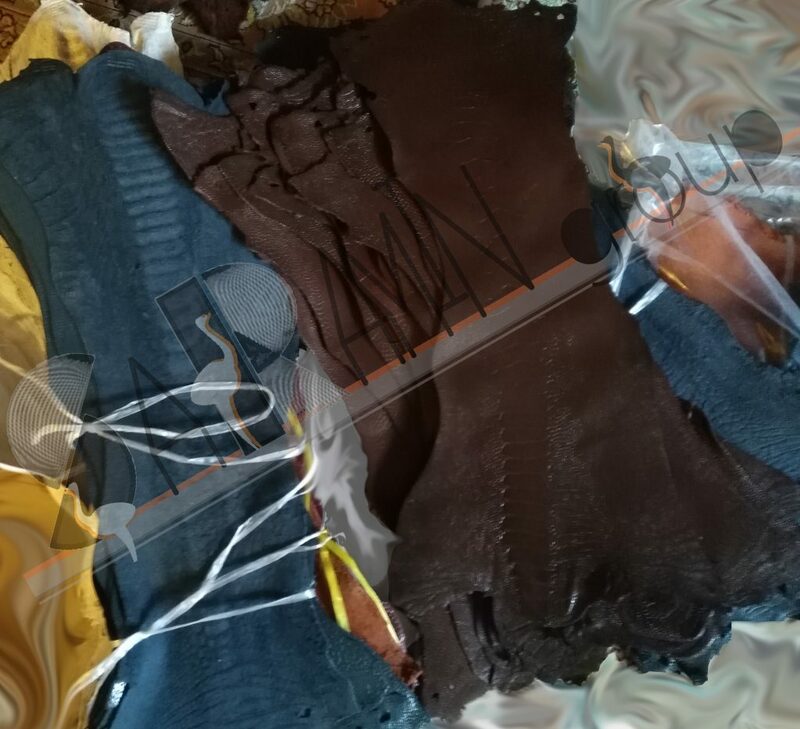 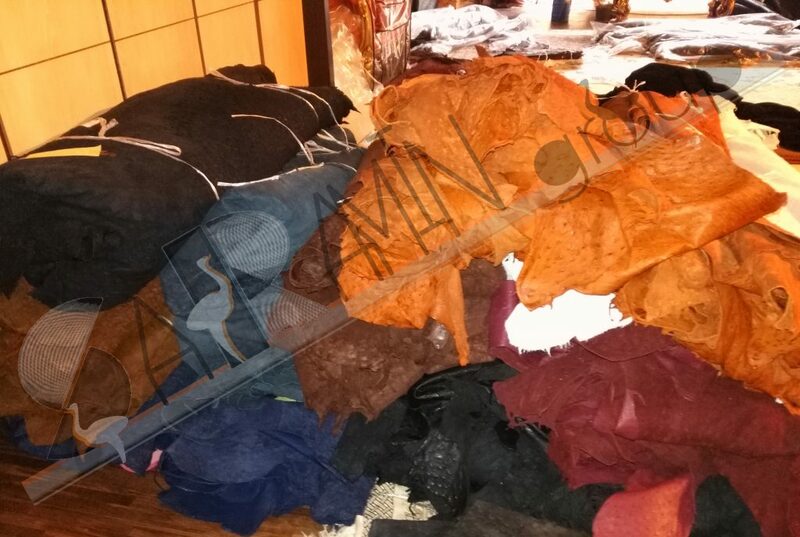 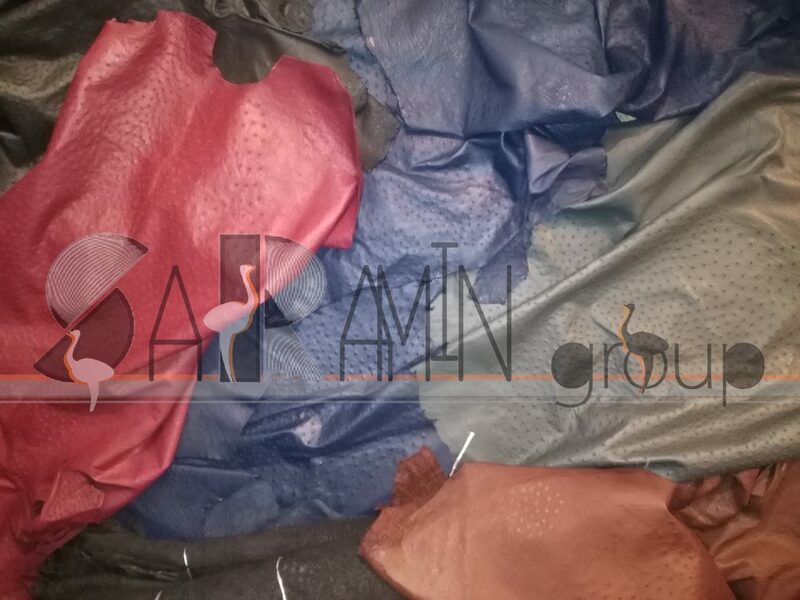 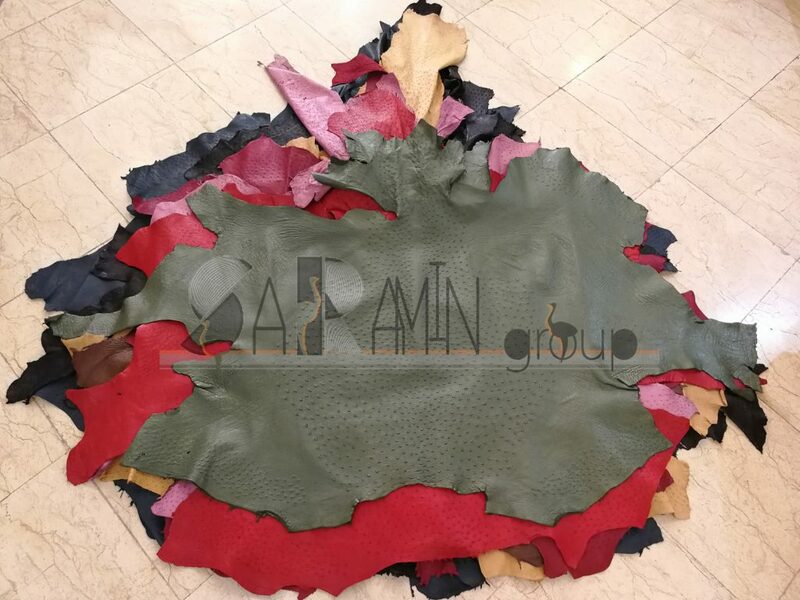 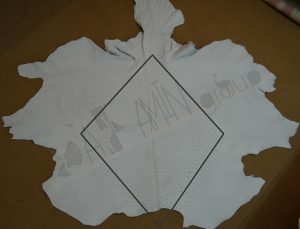 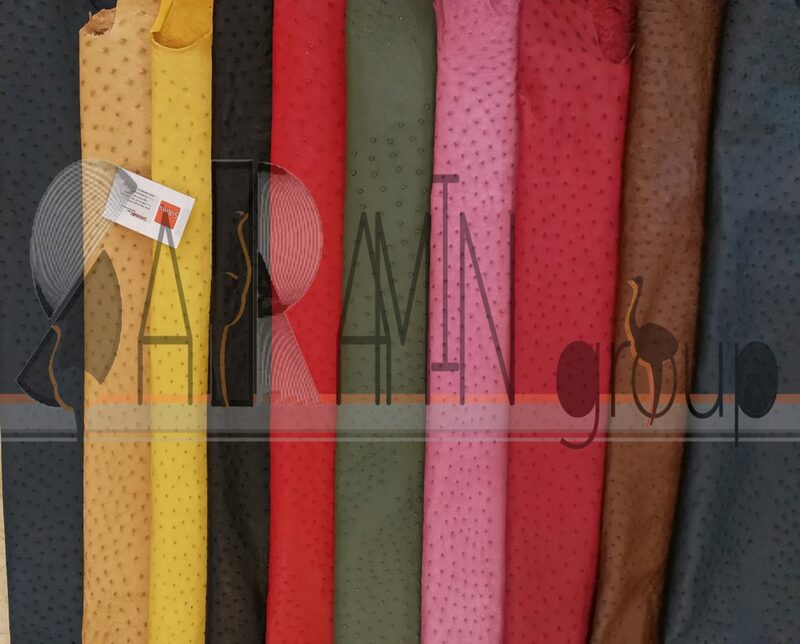 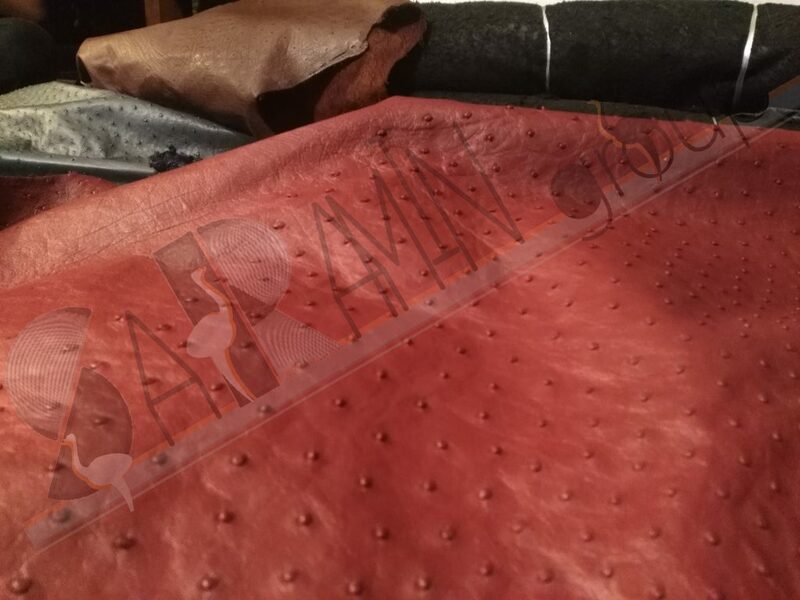 Saramin-co has 4 main grades for sorting of ostrich leather and ostrich crust. 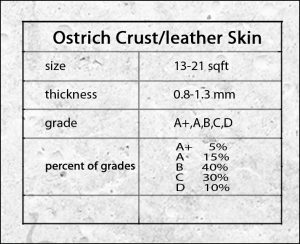 each grade’s percent in an order is consist of 5% grade A+, 15% grade A, 40% grade B, 30% grade C, 10% grade D.
A+ : ostrich skin has no defect or hole within crown or diamond. 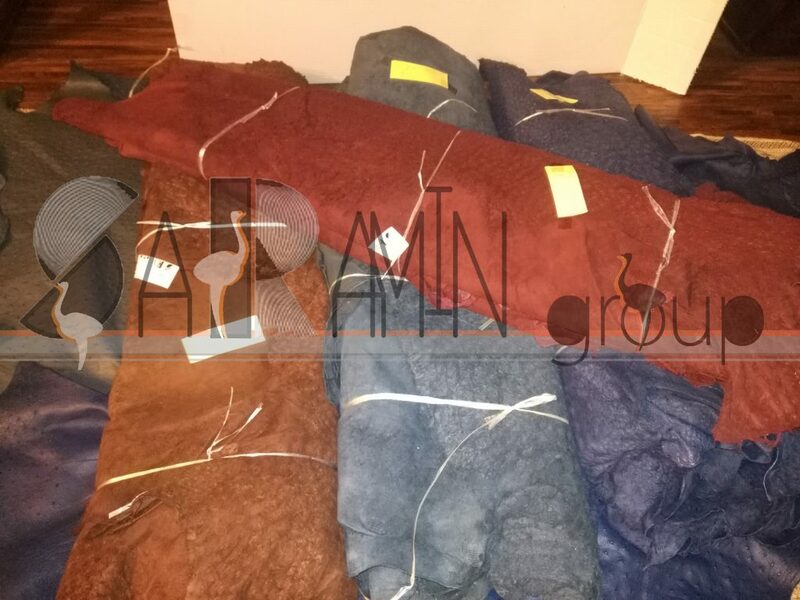 size is more than 16 square feet. 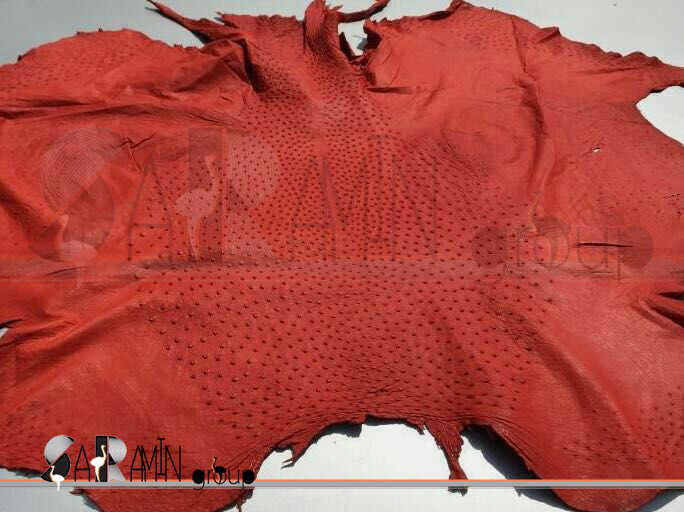 A : ostrich skin has no defect or hole within crown or diamond. 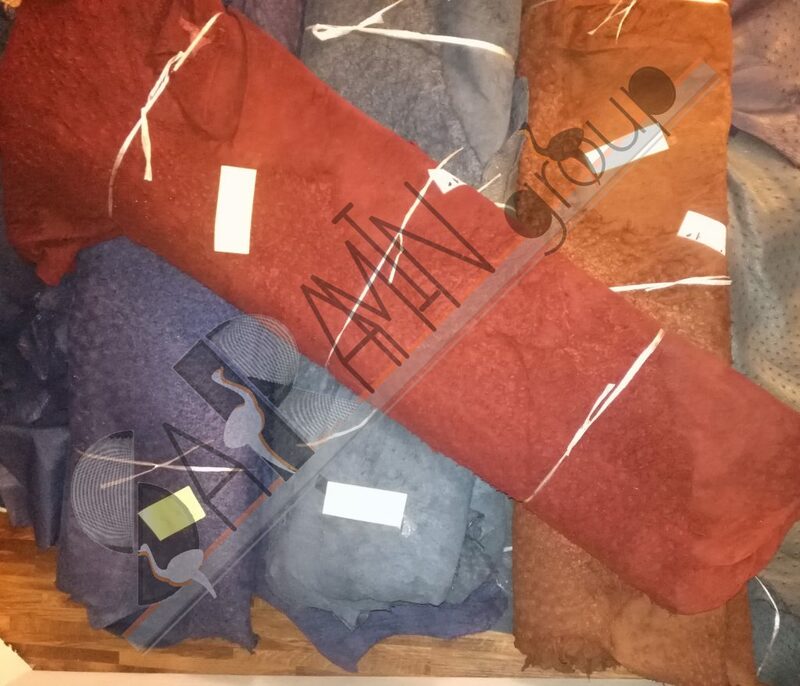 size is between 13-16 square feet. 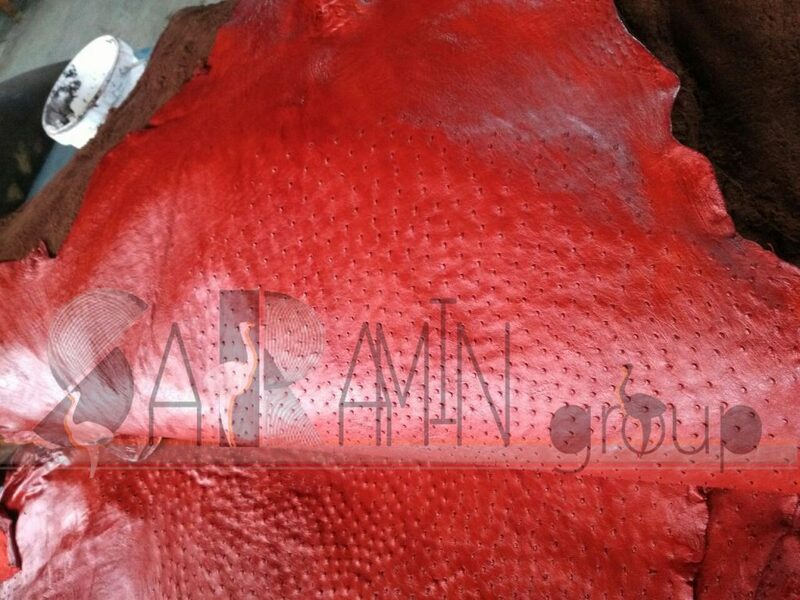 B : ostrich skin has few defects or hole within only one quarter of crown. 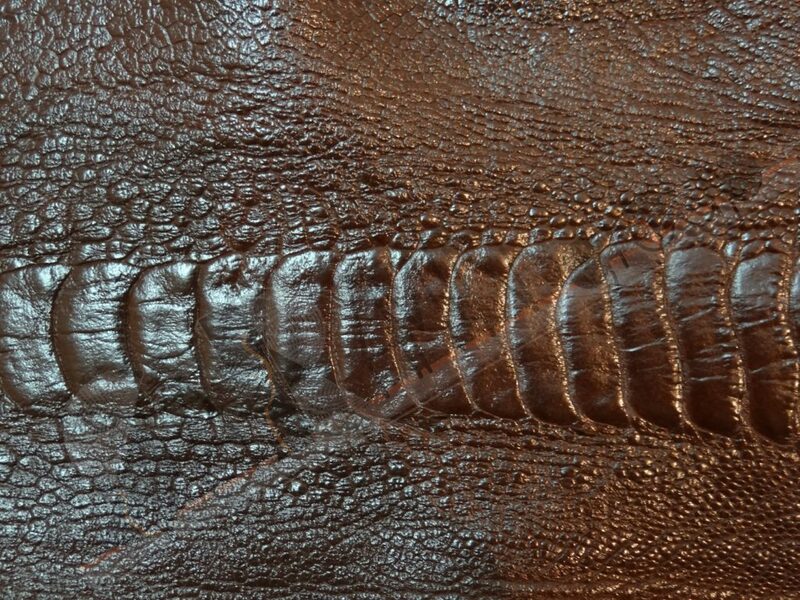 defects are smaller than 10 millimeter. 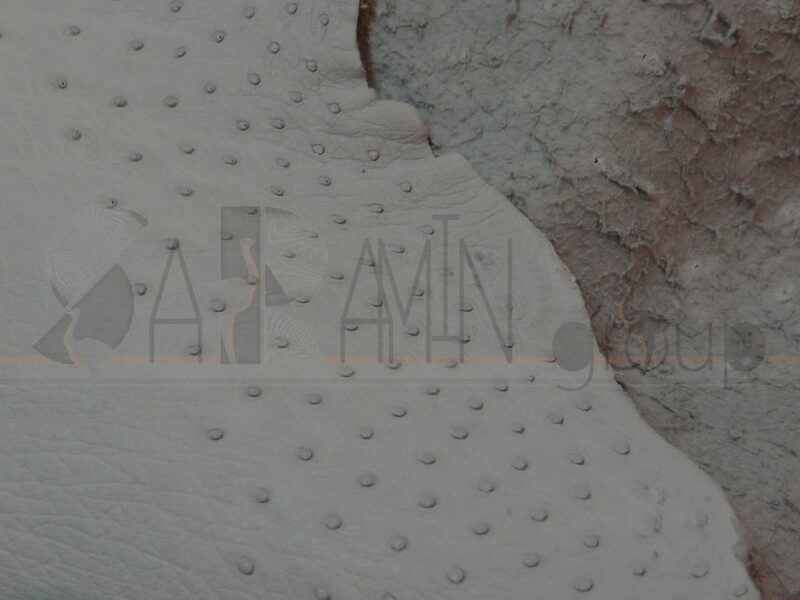 C : ostrich skin has defect or hole within tow quarters of crown or diamond. 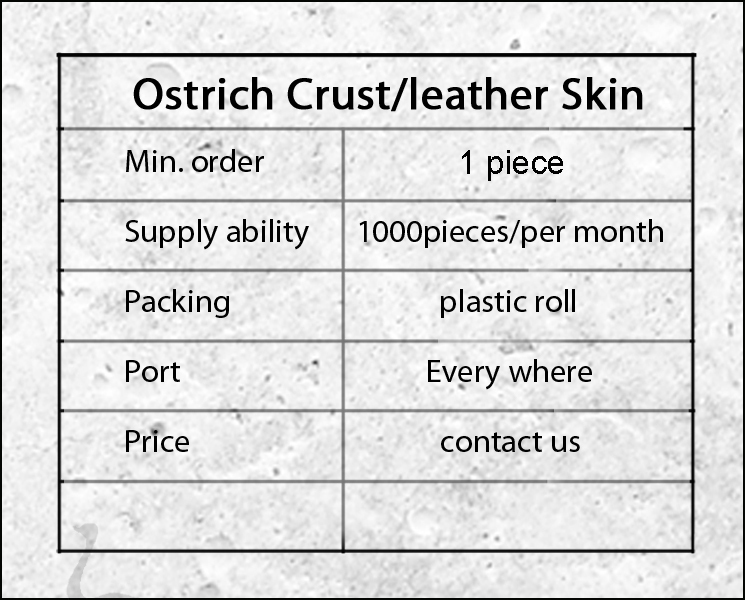 D : ostrich skin has defect or hole within three quarters of crown or diamond. 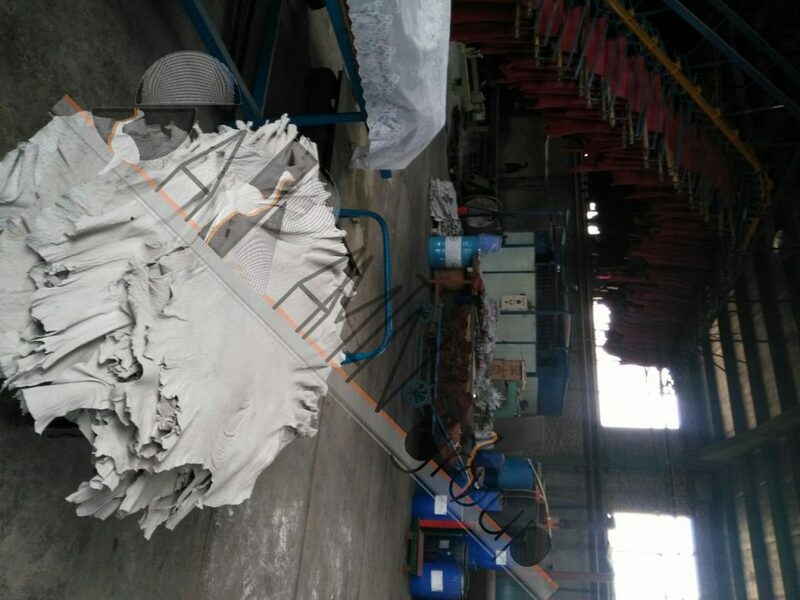 defects are smaller than 40 millimeter. 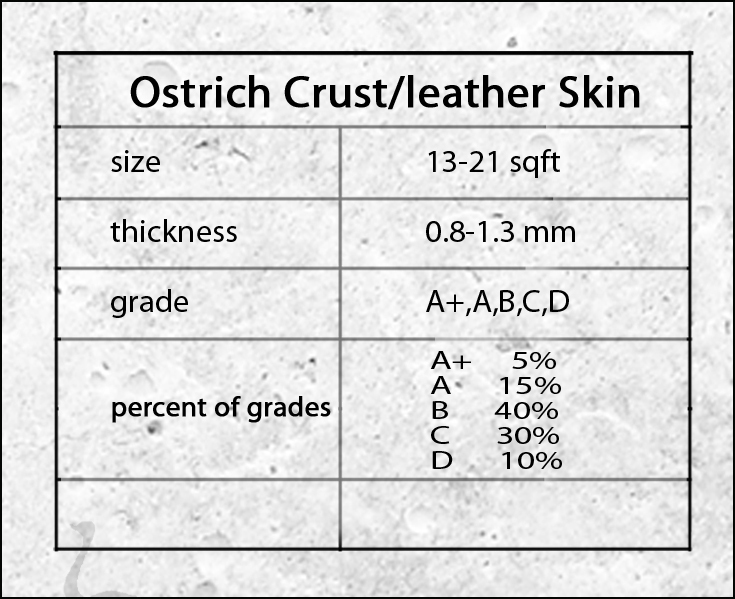 The first thing to consider with ostrich finished leather is what are you using it for? 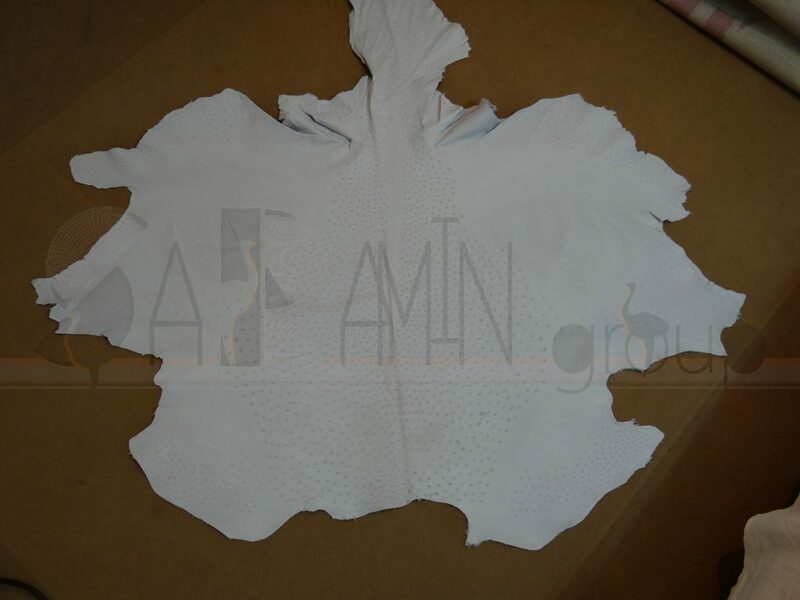 Do you need the skin to be very soft, perhaps for garments or a very soft bag. 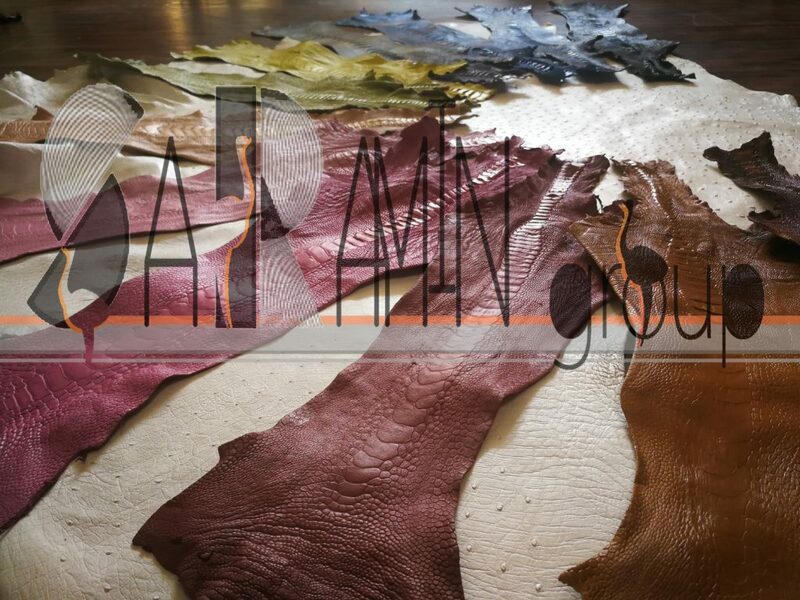 Then you will want to use garment weight ostrich skins which average 13 square feet and are 0.8 mm thick. 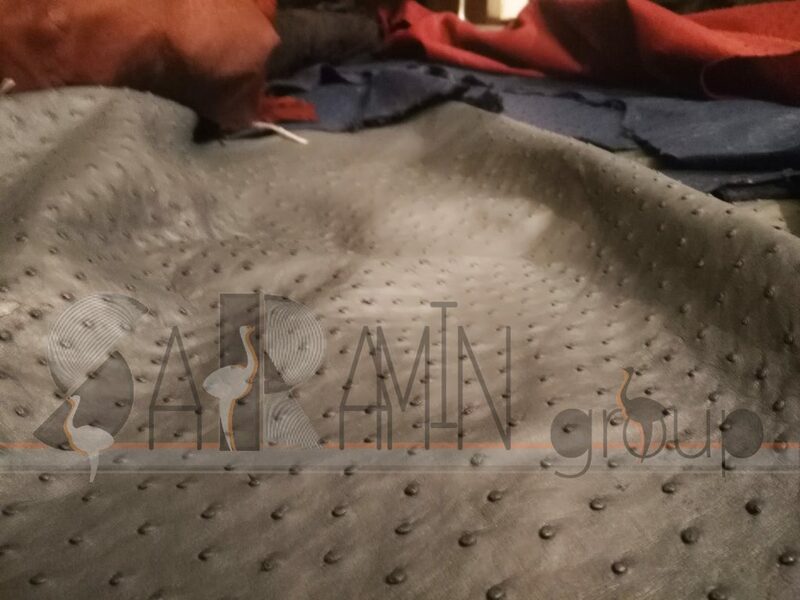 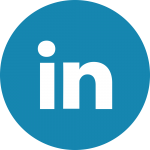 If it doesn’t need to be soft use standard weight skins which average 17 square feet and 1.0 mm thick. 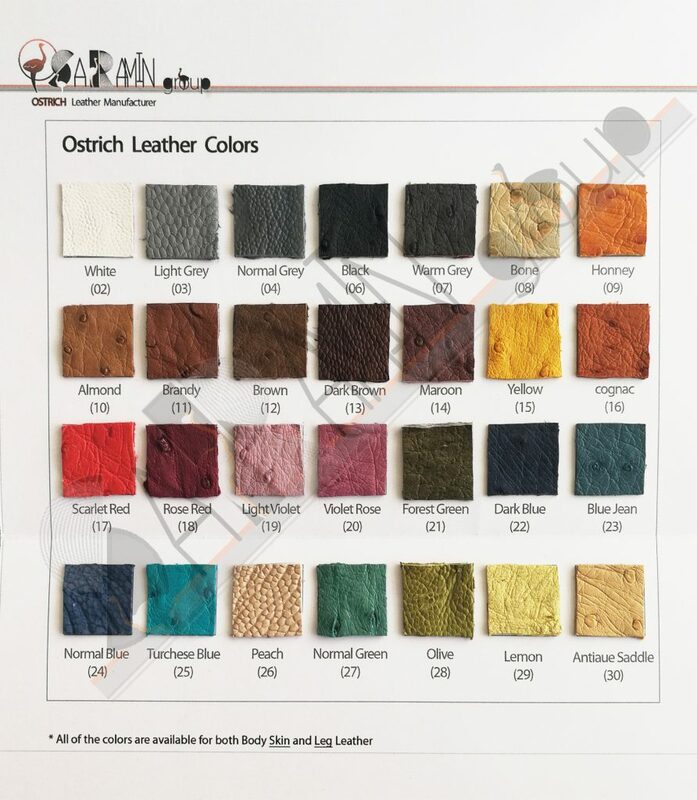 The garment skins are typically 20-30% more expensive than a standard ostrich finished leather of the same color and grade.